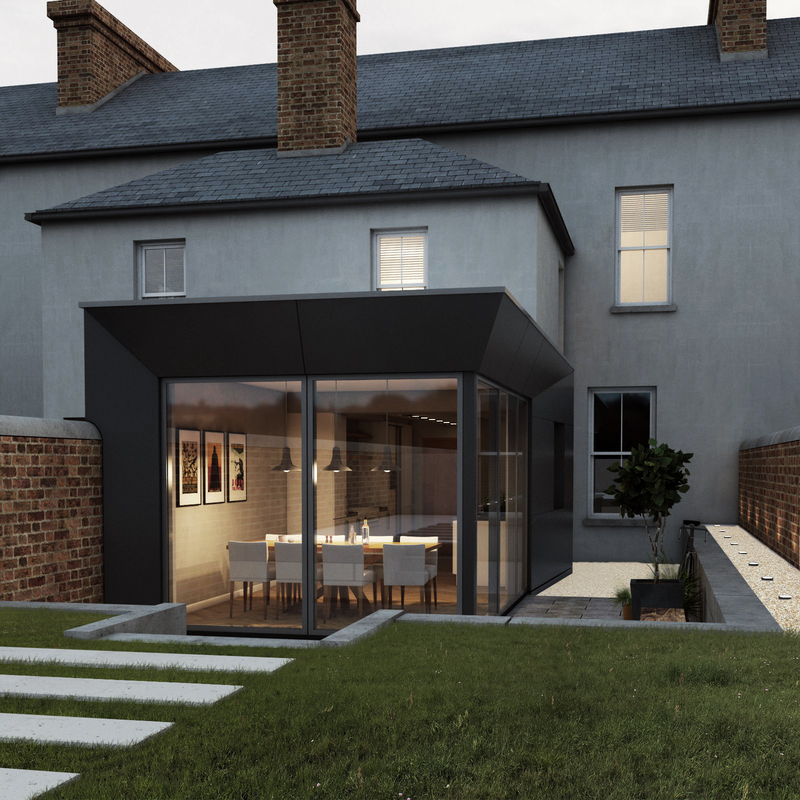 This project involved a new single storey extension to the rear of a Protected Structure, mid-terraced, Georgian house in Waterford. This modest addition was designed to accommodate a new kitchen and dining room. A bespoke frameless glazing allows maximum uninterrupted views of the garden. The windows allow plenty of daylight to flood into the dining area. External garden steps were included in the design to marge split levels and connect the inside with a long garden at the back of the house.